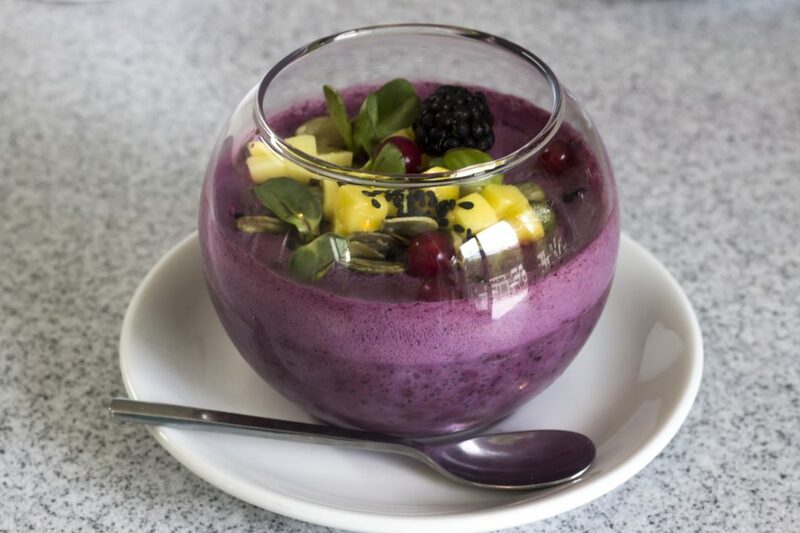 Coming from the same type of palm tree that gives us the delicacy called ‘hearts of palm,’ acai is a small, grapelike fruit native to Brazil as well as Trinidad and other parts of South America, and its role in your health is, despite sceptics’ claims, still a good one. So, what are the benefits of this delicious fruit that’s made its way not just into your morning breakfast drink but as an organic component of some cosmetics? Considered cancer-fighting agents, antioxidants are what keep free radicals to a minimum, and the acai fruit has quite a bit of benefit in this area. Some of these antioxidants are called polyphenols, which are present also in red wine and grapes among other richly coloured natural fruits and fruit products. Apart from fighting cancer, antioxidants also help the heart as well as the rest of the circulatory system. Anthocyanins help reduce cholesterol in the blood, as well as preventing blood clots, thereby improving circulation. Improved blood flow also just happens to benefit your romantic life, as it increases sexual performance. While acai fruit is thought to be high in carb count, which, at first blush, could make a low-carb-diet fan panic a bit, in truth, the fruit’s carbohydrates are less about sugar (acai is not that sweet) but are primarily made up of dietary fibre, which helps promote satiety, resulting in healthy weight loss. Dietary fibre also assists in proper lower digestive tract function. One of the more minor roles acai fruit plays is the potential for easing respiratory inflammation and irritation. There hasn’t been a lot of information about this role, so any claims may be anecdotal, but many dark-coloured fruits contain antioxidants that are anti-inflammatory, so while the effects may not be immediate, over time, it could help relieve asthma or other bronchial issues. Acai fruit is high in Vitamin C, which is a known immune booster that’s commonly found in other fruits, so adding acai to your servings of fruits and veggies can only help matters. Like many other fruits, this traditional Brazilian food has much potential for healing your body, or at least preventing issues down the road. While sceptics downplay acai’s benefits, possibly to further the interests of certain groups who seek to harm rather than heal, it’s important to remember that this fruit has been around long before such groups ever existed, and science has at least proven acai to have quite a few merits already. So, scepticism or not, acai has an important role to play in your health.